Crestview is a panhandle city found in Okaloosa County, Florida. The city has a population of about 23,000 residents. The county where Crestview is located has a population of about 180,000 residents. This area of Florida is also found near some very popular beaches and it's a part of the Fort Walton Beach-Crestview-Destin Metro area. With the mixture of residents and visitors, there are several different types of drivers within the area. This can make it a bit dangerous for driving. Crestview is also called "the icebox of Florida" because of the coldest winters found in the state. The cold, along with the heavy rainfall the area sees can also make driving a bit more dangerous than normal. Mix in the visitors and the roads become a very dangerous place to be. From 2004 to 2008, I-10 saw 234 fatal accidents with a total of 272 fatalities. Two other major highways run through Crestview including US 90 and State Road 85. Both of these highways experience regular accidents, as well. Traffic accidents in both Crestview and Okaloosa County are no the rise. Law enforcement officials have a job to do and if they don't monitor the traffic it would be much worse. Nearly 16,000 traffic tickets were handed out in Okaloosa County in 2015. Out of these tickets 9,312 were for speeding with another 1,742 for careless driving. Only 5% of the tickets issued were dismissed by a judge, which means your chances of getting a ticket dismissed are very slim. Having your license suspended is never something fun to deal with. 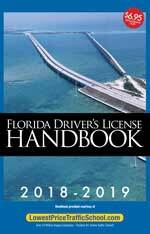 If you consistently receive traffic tickets in Crestview, Florida, you will lose your license for 30 days to an entire year. It only takes a total of 12 points in 12 months to receive a 30 day license suspension. If you receive another 6 points giving you 18 total points in 18 months, you will lose your license for 90 days. Those drivers pushing it to 24 points in 36 months will lose their license for a full year. It's easy to see how you could quickly rack up points on your license if you don't obey the traffic rules. Keep in mind, if your license is suspended and you get caught driving, you may face up to $500 in fines and 90 days in jail. Of course, you will also have to pay reinstatement fees to get your license back after the suspension. Traffic school may help you avoid points on your driver's license. 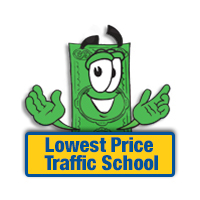 You will have to plead guilty or no contest to the ticket and you will also have to tell the clerk of the court you plan to attend traffic school online. Once you do this, you can enroll in the basic driver improvement course online and complete the course. After completion, you can turn you certificate into the clerk of the court and keep the points from going on your license. Along with avoiding points, you will also keep your insurance rates from going up. However, you do have to be eligible to take traffic school. If you've never taken a basic driver improvement course due to a traffic ticket, you'll probably be eligible to take the course. The State of Florida allows every driver to take the course up to 5 times and up to once per 12 months. You can always check with the clerk of the court to ensure you're eligible to take the course. After receiving a ticket in Crestview, Florida, you will need to contact the Okaloosa County Clerk of the Court to pay your ticket and for any information about the ticket. If you decide to use traffic school online to avoid points and higher insurance rates make sure you inform the clerk of the court. Find out more about the Okaloosa County Clerk of the Court by visiting their website.